If it’s part of your job description to work away from home, you will know the feeling of constantly being away from loved ones and living out of a suitcase. There are many steps you can take to make the experience of being away from home an enjoyable one. First of all, make the most of having some quality time to yourself, find time to do something you enjoy, whether it’s going to the local gym, walking or just relaxing with a book. (Or you can take advantage and have a sneaky takeaway…). Connect regularly with loved ones and consider bringing some home comforts with you, such as photos of your family, friends and pets, which can be a great support during your long days away. 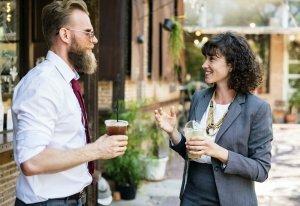 Socialising and bonding with colleagues after work will give you a sense of community and it will certainly take your mind off being away from home. To ensure that you always have the best, at Rapid we make it our aim to select the best of accommodation to reflect your expectations and make your days away more pleasurable.